Dress for the weather and leave the rest of the fishing trip details to me. I provide quality rods and reels, the right boat for the trip and all the gear we will need. I have one mission: Give you the best guided fishing trip possible. Years of fishing on these rivers make me one of the best qualified salmon or steelhead guildes on all the rivers in these parts (there are six of them). 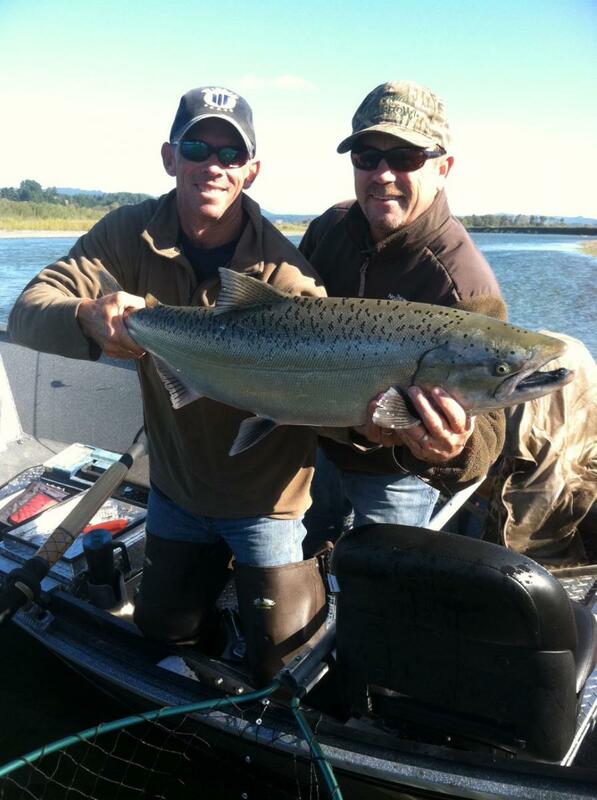 If you want to catch salmon or steelhead, then I am the guide for you! Some seasons are best on the Trinity River; others are best on the Smith River. Any questions? Shoot them off to me, you'll always get an honest answer.